Preeti Singh Desai, MD, is a board-certified cardiologist at Healing Hearts Clinic in The Woodlands and Conroe, TX. With a special interest in preventive cardiology and women’s health, Dr. Desai has performed extensive research in the field of cardiology and continues to stay on top of the latest developments in the field. Dr. Desai is one of the few physicians in the area performing 3D/4D echocardiography and guiding left atrial closure device placements. 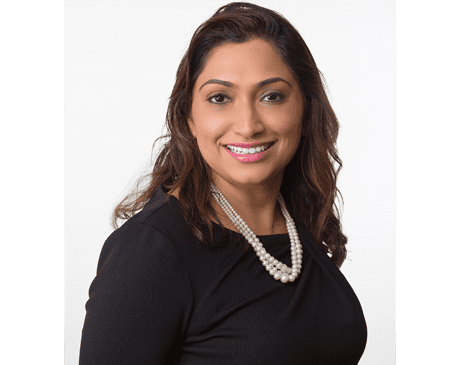 Dr. Desai earned her medical degree from Rajiv Gandhi University in Bangalore, India, and completed her residency training in Internal Medicine at the North Shore University-LIJ Hospital in New York. She completed fellowship training in cardiovascular medicine from Texas Tech University. Dr. Desai has also done additional training to specialize in all aspects of Cardiac Imaging at the University of Alabama in Birmingham. She currently serves as a medical adviser for Lone Star College in Houston, in addition to practicing cardiology. Dr. Desai is certified by the American Board of Internal Medicine in the areas of internal medicine and cardiovascular disease. She is extensively published in peer-reviewed journals and earned various awards and accolades for her work in cardiology. Dr. Desai’s clinical interests focus on coronary artery disease, congestive heart failure, A fib, valvular and structural heart disease, vein disease, with a particular emphasis on women’s health, and preventive cardiology. She performs procedures such as nuclear stress testing, 3D/4D echocardiograms, vascular ultrasounds, cardiac CT & MRI, vein ablations, and transesophageal echocardiograms and cardioversions. Dr. Desai believes in preventing heart attacks by diagnosing early plaque build up, using state of the art technology. She strives to provide her patients with education and understanding of their heart conditions to help them achieve their goals; thus, empowering them to take control of their health. In her free time, Dr. Desai enjoys spending time with her family, traveling, and volunteering in the community.